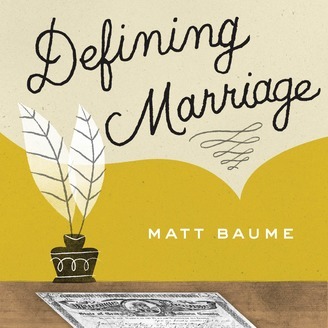 Each week on Defining Marriage, hosts Matt Baume and James Morris chat about what's happening with marriage equality, featuring frequent digressions into pop culture, silly banter, and the jokes and quibbles that have kept them together as a couple for over a decade. 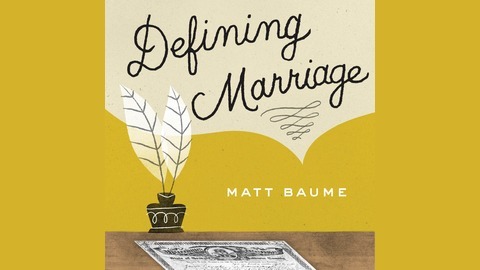 The first eighteen episodes of the podcast contain the complete audiobook version of the book Defining Marriage, which traces the decades-long evolution of marriage through the personal stories of those who lived through it, featuring personal insights from the lives of Evan Wolfson, Dan Savage, Ken Mehlman, Dustin Lance Black, and many more. It's a Christmas miracle! Defining Marriage is back, baby. And also finished. But James and Matthew aren't leaving you -- this is the start of something new and exciting and hopefully far less inappropriate. Join us for one last bumble, a round of what's-her-name, and a tease for where you can find us in the new year on our new upcoming podcast, Cozy Pants.